The SmartSump™ Crawl Space Sump Pump System is designed with a cast-iron Zoeller® ⅓hp sump pump, a durable plastic lid, sump pump liner, a flood alarm, and an airtight lid. If your crawl space is flooding, our SmartSump™ Sump Pump System is a vital part of our complete crawl space encapsulation system. The SmartSump™ features quiet operation, an airtight lid, and full integration with our UltraSump® Battery Backup Pump for protection during power outages and blown fuses. Eliminating moisture and water helps to protect your home from mold, rot, and odors that can damage your structure and affect your health. Contact us today for a free, no-obligation dry crawl space quote! Our local dealer can provide a complimentary inspection of your crawl space, answer all your questions, and provide you with a written cost quote. We have Certified Crawl Space Specialists throughout Canada, the United States, and the United Kingdom. We're standing by to help you! 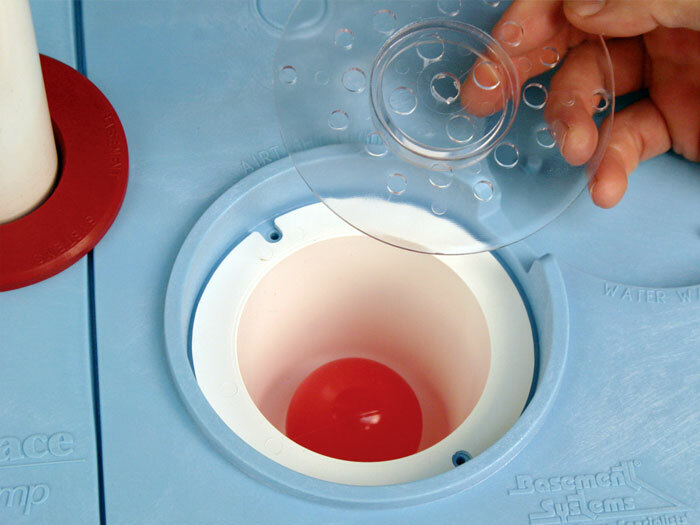 The SmartSump's airtight lid has a built-in ball-and-cup drain system. 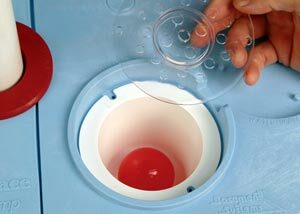 When water enters the cup, the ball floats, and the drain is activated. When there's no more water, the ball drops, and your drain is sealed again. This allows you to drain water from plumbing leaks without having an opening that allows humidity in. When a crawl space floods, homeowners will sometimes go weeks, months, or even longer before noticing the situation. Because of this, issues with mold and rot can become quite serious before measures are taken to eliminate the problem. To avoid this problem, we provide our WaterWatch® Pump Alarm System, which will sound off in the event of a flood. Our alarm can also be integrated with home alarm systems -- so you get a call when the alarm goes off! 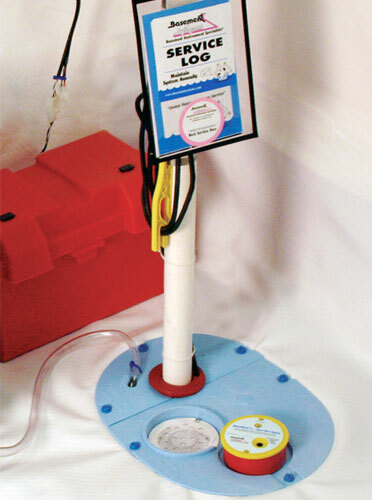 The SmartSump™ System is an AC-powered sump pump. If a power outage occurs, it will not operate. To ensure a dry crawl space all the time, we strongly suggest installing our UltraSump® Battery Backup Pump with your system. This powerful backup sump pump is able to pump out more than 12,000 gallons of water when operating on a fully charged battery. 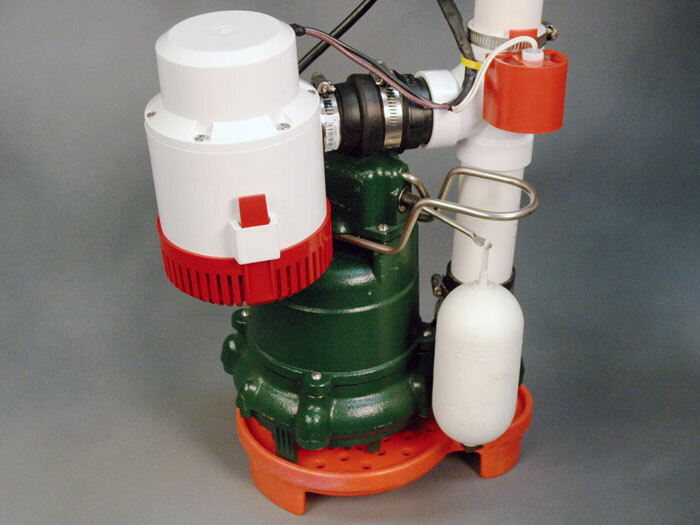 Why Choose A Submersible Sump Pump? At Basement Systems, we use submersible sump pumps in all of our sump pump installations. 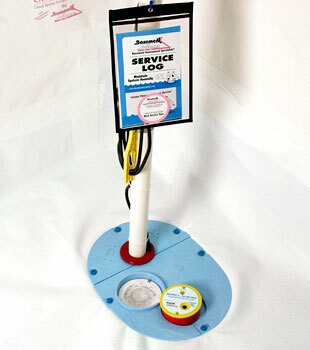 This sump pump design is made to be installed within the sump pump liner, and is underwater during operation. 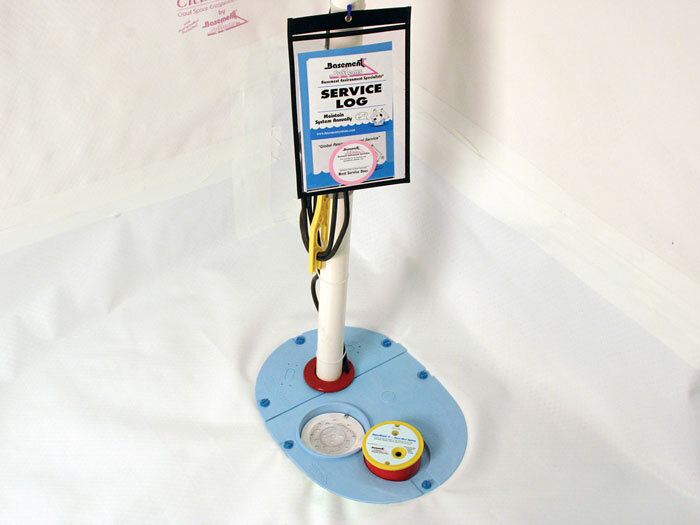 The most common alternative -- a pedestal sump pump system -- extends outside of the sump pit, on a stand. Because a submersible system operates underwater, the water in the liner naturally cools the sump pump while it's running. This makes them much more resistant to damage from overheating, which is one of the largest causes of sump pump failure. 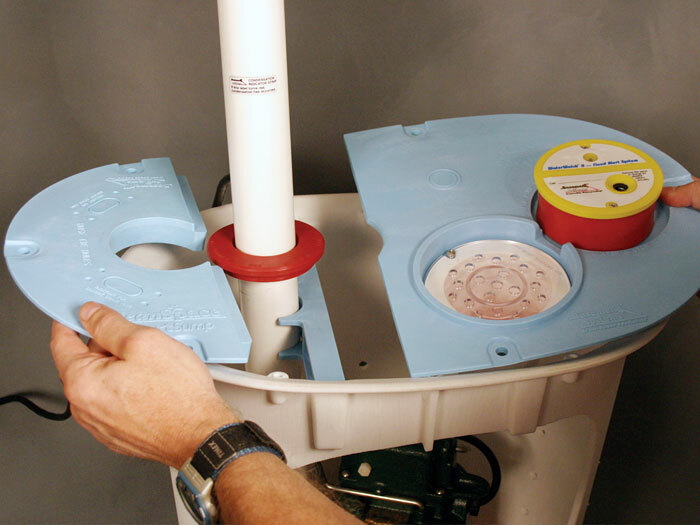 Another advantage to installing submersible pumps within the liner is that it allows for a sealed sump pump lid. Sealing the lid keeps odors, humidity, and noise from rising out of the liner and into your home. We Provide Cast-Iron Security Against Crawl Space Flooding! Our sump pumps, drainage systems, vapor barriers, and other crawl space products have been used to repair hundreds of thousands of homes throughout North America and Europe. We have the experience, warranted products, and training you need to keep your crawl space dry all the time! For more information about how we can solve your crawl space issues, schedule a free, no-obligation sump pump installation quote with us today! We'll connect you to your local Basement Systems or CleanSpace® Dealer, who will provide you with a professional inspection, answer any questions you may have, and customize a written cost quote. With each schedule visit, we also mail along a written copy of our full-color book: Crawl Space Science. This book is full of information about crawl space repair and waterproofing, including information about all our available products and services.